Thurgood Marshall College, in partnership with CREATE, has established two partnership schools: The Preuss School and Gompers Preparatory Academy (GPA). These two charter schools serve students in grades 6 to 12 and work with historically under-served communities to support their youth throughout high school, and in seeking an education that prepares them to be college-ready. One of the key aspects of the partnership between UCSD and these two schools is the presence of UCSD students as volunteers at each campus. Why volunteer at the Partnership Schools? UCSD students inspire and motivate countless middle and high-school students to pursue their college and career dream. This partnership is mutually beneficial to student volunteers because it takes into account their interests as well. Former UCSD volunteers have taken advantage of this opportunity to gain course credit for their work and used these experiences to bolster applications to a variety of graduate programs across all disciplines, all while gaining excellent professional experience. All new volunteers must submit a TB skin test no later than 60 days old. Once it is in a record at the school the skin test needs to be done every 4 years. After you have submitted an online application to ONE of the schools, you should receive a response within 2-3 days regarding orientation for the program. Please contact Coordinators Alexandra Alvarenga at partnershipschools@ucsd.edu if you have any questions. Students interested in gaining course credit (4 units) for volunteering are eligible to enroll in TMC 198. Students enrolled in this course complete 40 hours of service for the entire quarter—either classroom or non-classroom positions. Classes are conducted as small seminars, allowing students to discuss their experiences on-site, critically analyze relevant topics in research and media, and learn from experts in the field through guest presentations and workshops. "Upon taking this course, I have gained much more knowledge and insight about the politics and socioeconomic boundaries within the school system. This class has inspired me to become more involved with our future generations because it has helped me see the impact I have when aiding students and teachers. Because of tutoring at Preuss, it reminded me of all the support I had primarily in high school and the effects of all the teachers, family, and friends had on me as I prepared myself for college; so I would hope to be that for someone else in the future. Therefore, I decided to look what more I could do in terms of my own education in order to continue to further my involvement in grade schools. Upon researching types of classes or minors that are available to me, I have settled to pursue a minor in Public Service with a focus in Education as it requires a year-long internship at an academic site overseen by the Academic Internship Program’s (AIP) criteria. I have decided to apply for grad schools next year and I want to reflect my experiences from AIP into my applications in addition to the experiences I had from TMC 198." Students who wish to apply for a non-classroom position are asked to dedicate 6-10 hours per week for those positions. These internships offer students the opportunity to explore the administrative aspects of education, and work alongside dedicated staff in developing integral skills for working with students. The internships vary per site and are subject to change per quarter. Through the Family Support Center, GPA seeks to create an environment where all students can feel comfortable and empowered to focus on their education. Possible internships include helping the nurse in the Health and Wellness Office, or can assist counselors, who focus on issues such as academic issues, anger management, grief counseling, etc. The Dean’s Office internship provides an opportunity for interns to be involved with all facets of student behavior. Interns assist with personal consultations with students, assess and analyze student behavior, develop effective strategies for rewards and consequences, and ultimately help students and families work toward positive outcomes. Interns will also be in charge of eagle points and their associated rewards, which are awarded by grade level. Interns must maintain complete confidentiality. Interns will work within the Integrated Living Skills classroom to develop relationships with the students and support the Special Education teacher. This internship also provides the opportunity of working with the school psychologist, who regularly meets with the Special Education students and their families to stay actively involved in their learning. Special projects are initiated by students who are particularly passionate about exploring and researching a specific topic. Teachers and staff are more than happy to facilitate a research project on campus. For example, a student could create an internship focused on analyzing the effectiveness of after-school programs by working with Gomper’s Primetime program. The GPA library seeks to create an environment where all students can be assisted with locating pleasure reading books, research ideas and topics assigned in their classes, and feel comfortable and empowered to focus on their education. This internship includes helping students find pleasure reading books (being an avid reader is a must! ), working with students on their reading skills, and modeling how to access research information through books or internet sites. The Office of Innovation & Design uses artistic talents in graphic design, photography, videography, social media, and music in effort to keep GPA aesthetically alive for the students. The internship will gain you knowledge and experience in Adobe Suite programs, as well as working for the Office of the Director. Simple tasks include assisting in school events, musical productions, college classes, photography/videography, social media (Instagram, Facebook, Youtube), and revamping signage around campus. The front office at The Preuss School is dedicated in greeting all visitors. In addition they handle transportation and attendance, gym clothes sales, bus fees, and coordinate the newsletter and calendar of monthly events. Interns are to greet visitors, answer phones, assist with mail, and various office duties as assigned. Must be detail oriented and have strong ability to multi-task. The admissions office provides information to prospective students. There are outreach events held at various schools or community settings throughout San Diego that the coordinator attends. In addition, the admissions coordinator plans events such as orientation day, open house, application reading, lottery, and enrollment day. The admissions office is responsible for handling and reviewing the applications for any missing documents. Interns will help in planning and assisting in events, data entry, and review of applications for missing documents. Must be strong in Excel, Word, and Power Point as well as be detail-oriented. The volunteer coordinator is responsible for all volunteers, processing applications, and orientation. In addition the volunteer coordinator is responsible for the PTA general meetings, various events, creating presentations, translating documents and letters into Spanish, and gathering data. In this position interns will help with data entry, reviewing applications, contacting volunteers, mailing, and providing support to volunteer coordinator with various tasks as assigned. Must be strong in Excel, Word, and Power Point, have the ability to multi-task, have strong organizational skills and be detail-oriented. The student services department is composed of our Vice-Principal, College Advisor, Middle School Counselor, and High School Counselor. They provide a variety of services that include coordinating testing, gathering data, coordinating scholarship and enrichment programs, and creating marketing material. Interns will assist with data entry, assist with testing, updating flyers and brochures, and assist with other duties as assigned. Must be strong in Excel, Word, and Power Point, have the ability to multi-task, and be detail-oriented. The registrar is responsible for obtaining student documents and keeps all student files and data. She is responsible for maintaining and entering information in our school database. Interns will be doing data entry, filing, reviewing student files for missing documents, and some occasional phone calls. Interns must be detail-oriented and have strong organizational skills. An essential part of our school the library is a hub of activity. Our librarians maintain The Preuss School Catalog, processes book orders, clean and repairs books, and help students check out books. There are 28 computers for student use. Interns will assist students in finding materials, occasionally help parent volunteers stay on task, data entry, repair books, and help students check out books. Interns must be able to multi-task. Ms. Brenda Strickland received her Bachelor's degree in Latin American Studies from the University of California Los Angeles. In the last couple of years Ms. Strickland has traveled abroad to many places around the world including Brasil and Mexico where she worked with children in underserved communities. This inspired her to enter the field of social service in an attempt to help underrepresented students pursue a higher education. Now, as the School Compliance and Insurance Coordinator, Ms. Strickland focuses in serving the youth by working in the business side of the academy helping it to remain open and safe campus for students. Working at Gompers Preparatory Academy has been a great opportunity because it provides a college preparatory culture and curriculum that will allow students to be successful. aspirations for children in underserved areas. 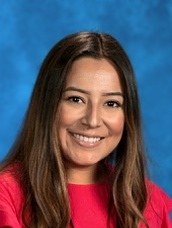 Throughout these years at GPA, Ms. Jacobo has been able to connect with many students to help them reach academic achievement. As a former student from The Preuss School UCSD, she understands that UCSD tutors and volunteers are the “face of college” for students and is delighted to work to make sure that volunteers are supported and valued on campus. I came to The Preuss School 2 years ago as the admissions coordinator. Last year I became the Volunteer Programs Coordinator. I graduated from SDSU with my bachelors in Psychology. I’ve worked in Social Services for 8 years before moving into the education field. One of the programs I coordinate is the Tutor and Intern program on our campus. I provide the orientation to prepare UCSD tutors and interns with the logistics of the program and inform them of what is expected of them as well as assign them to the appropriate class or internship position. I follow up with the tutors and interns to know how they are doing and receive feedback of their experience with us. I look forward to continue working with the TMC 198 internship program and all the wonderful UCSD students. Why did you choose this program? I wanted to explore different areas of the education system, and I saw that this program had many various positions that I could do. I immediately chose to intern with the program so I could expand my horizons, not just as a tutor but as a school psychologist. What would you say about this program to a friend?This is a great way to get hands-on experience in a field you are interested in. The students find you very relatable so you are a positive role model to them. Through interns and volunteers, the students see that college is a possibility. What is your most memorable experience when working with faculty? On my very first day, while walking down the hall to class, every single staff member shook my hand, smiled, and welcomed me to the campus. I could tell that every one of them loved Gompers Preparatory Academy and cared about the kids. It was a breath of fresh air to be around people who are truly passionate about educating ALL our youth. What did you gain from this outreach experience? I gained knowledge and insight. Based on what you are told about the students, you would think of them as simply unruly kids, but they are so much more than the labels placed on them. They all have a story to tell, and this experience opened my eyes to that. Former Marshall Provost Cecil Lytle Thurgood Marshall College spent five years working to establish a model college-preparatory public charter school for children from underrepresented backgrounds on the campus of a major state university. He began this effort with the creation of the Preuss School in 1999, as a response to the anti-affirmative action movement in California, which limited access by underserved minorities to higher education by statute in 1996, with the passage of Proposition 209. It is his hope that the lessons learned from this model school, which has now been recognized as one of the top ten high schools in the U.S.A., can be transferred to urban areas and used by colleges and universities across the country to improve educational opportunities everywhere, in the same way that the University of California used Agricultural Field Stations in the 20th century to improve the agriculture industry throughout the state. He eventually succeeded, and the Preuss School has surpassed the most optimistic expectations. The model was then expanded to Gompers Middle School, a San Diego middle school located in a low-income and predominantly Hispanic neighborhood and repeatedly failing to meet No Child Left Behind provisions. In 2005, it was restructured into an academically rigorous, detracked charter school. The discussion of the political experience and working relationships between the charter organizers, the school district, and its superintendent illustrate the often contentious process of community mobilization and deliberation. The involvement of faculty from the University of California San Diego and community groups as contributing partners enhances our understanding of the creation of educational reforms or the transformation of passion into practice. The volunteers participating in the Marshall College Partnership Schools program play an essential role in furthering the connection and collaboration between UC San Diego and these model schools. Is it wrong for us to want good things? [PDF] A 2010 paper by Hugh Mehan and Gordon Chang outlining the origins of Gompers Preparatory Academy. 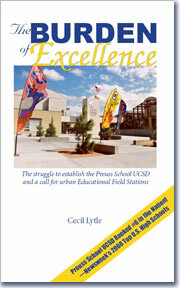 The stirring memoir of Cecil Lytle, former Provost of TMC, in his arduous 5-year struggle to establish the Preuss School UCSD. Bud Mehan and Luis Acle explain UCSD’s role in the development of the charter school model at Preuss and Gompers. An alumnus of both Marshall College and the Partnership Schools Program, Kelly Kovacic has not only been selected as the California Teacher of the Year, but has been chosen as one of four finalists to receive the nation’s top teaching honor, National Teacher of the Year. 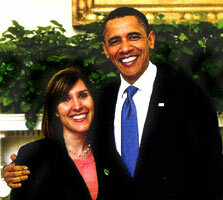 Kovacic is an eleventh and twelfth grade social studies teacher at The Preuss School USCD. Director Vincent Riveroll of Gompers Preparatory, wants YOU to come volunteer! Check out this video highlighting the role of UCSD tutors at one of our partnership schools.